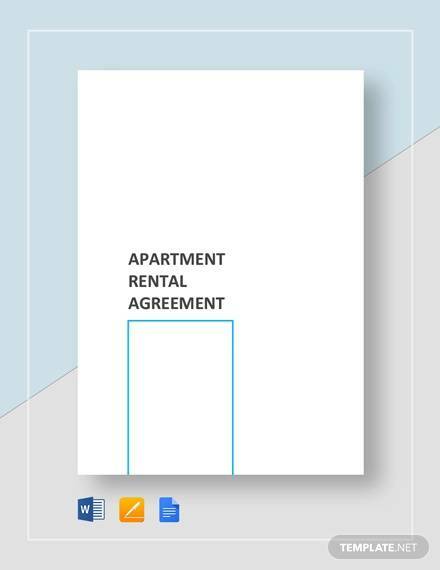 If you are renting a room or a house, or, better yet, if you are planning to move out and rent an actual huge property for own, it would be definitely overwhelming. It would also be perfectly understandable and fine if there are feelings of self-doubt and that certain feeling of somehow being scared coming out of your comfort zone. After all, it is only human to have doubts with the unknown and uncertainty. However, it is definitely certain that you can surpass the struggle and be able to keep up with it. 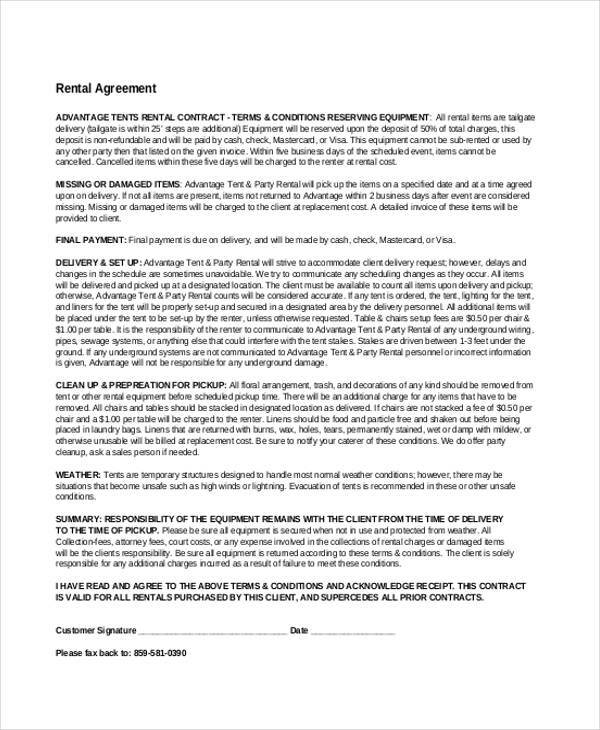 One step closer to making your plans and goals happen is to have a look at these Sample Agreements so that you would have some gathered information and insights as to which you can apply. 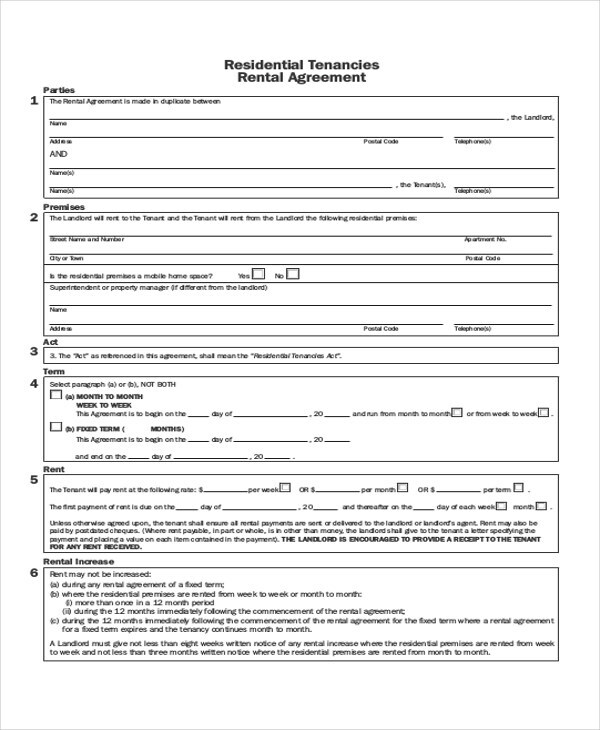 Another thing to consider with regards to either renting a house property, a room, or renting commercial spaces, aside from the common fact that it is easier said than done and that you have to be willing and determined enough to pursue your goals, one step closer making your rent is actually to make some time gathering details and information, familiarizing yourself with certain rental agreement paperwork processes that can help you and be useful for your goals, endeavors, and journey. 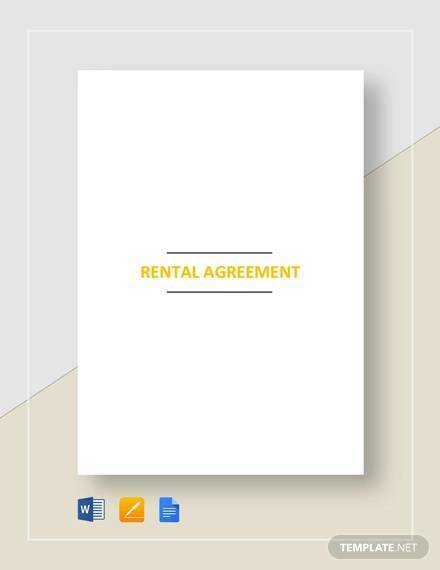 To help you get started, you might want to consider checking out some examples of Rental Agreements Month to Month and also Rental Agreement Contracts. 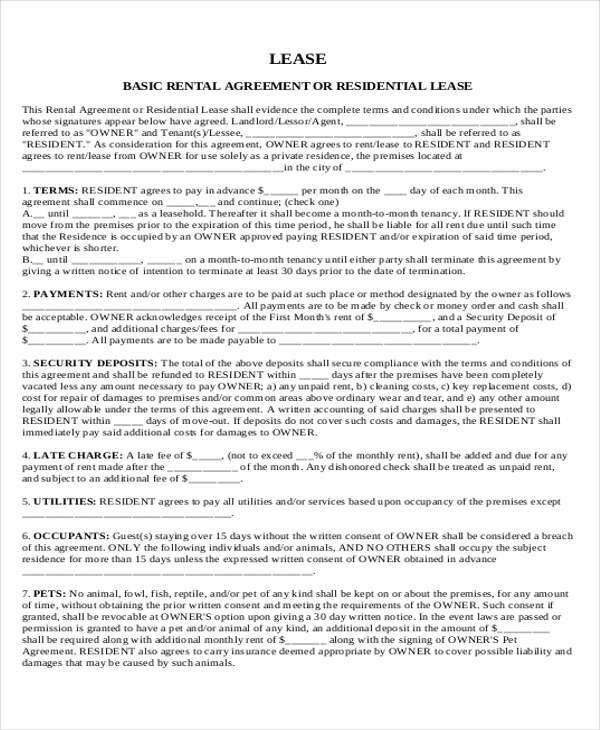 One-Way Lease – this type of home rental agreement would seem to be likely favorable to the land owner, since the land owner on this certain kind of situation would usually tend to hoard most of the home rental benefits, hence the given term of “one way.” On the other hand, this type of rental agreement is based on a monthly basis in which the landowner or the landlord would waive the tenant’s down payment. 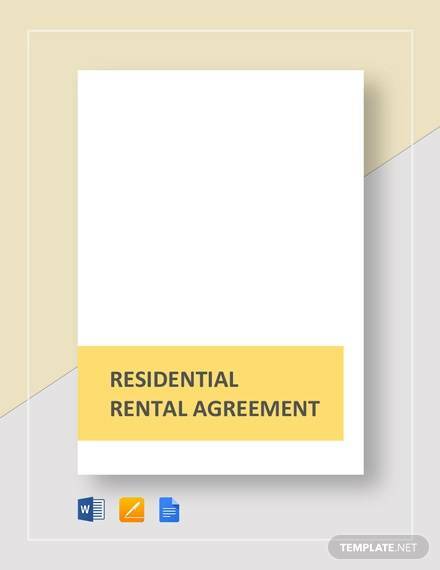 Fixed Term Lease – also known as the standard residential agreement, this type of rental agreement would usually last until a year. 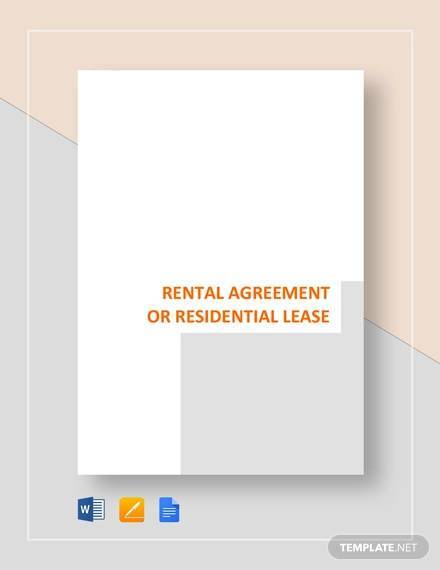 It is also a legal written agreement that would oblige both parties involved (the tenant and the landowner) to duly follow and take heed of all the terms and conditions specifically indicated on the standard rental agreement. 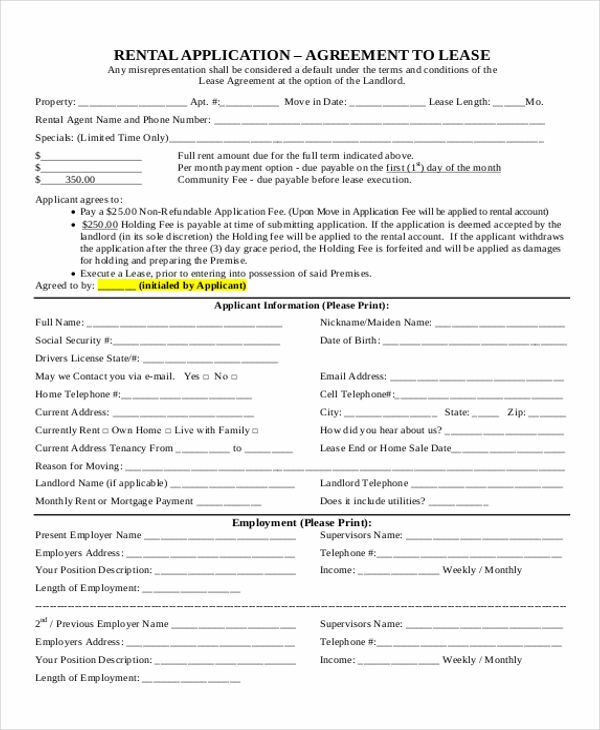 Payments are to be paid on a monthly basis. 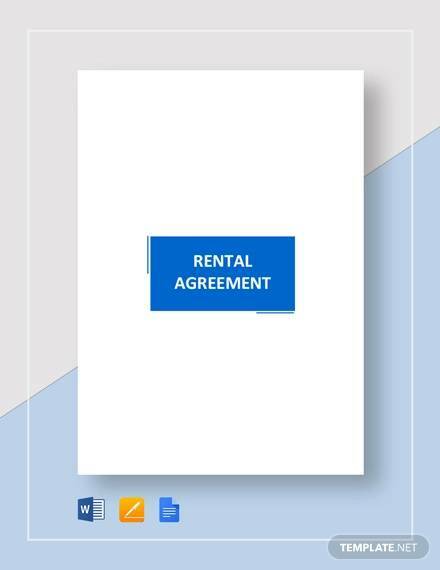 While you are at it, you can also consider checking out this page’s examples of Rental Lease Agreements that you may find interesting and useful toward your journey. 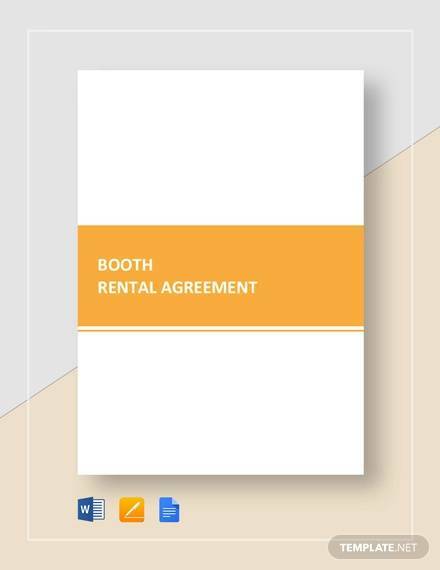 Month to Month – this is probably the most popularly known and the most commonly used among the other different kinds of rental agreements. 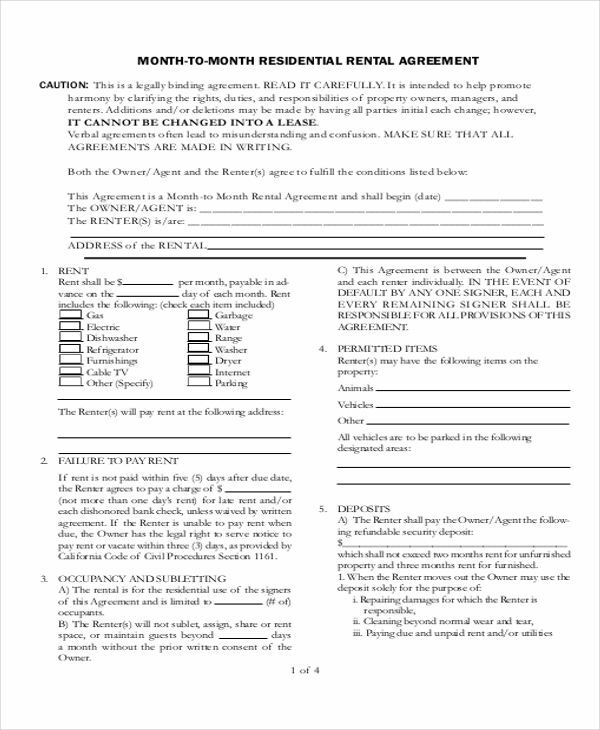 Although it can be used for both residential and commercial purposes, the month-to-month type of rental agreement would basically specify that a tenant is obliged to make payment to the landlord or landowner a one-time payment every month unless if the tenant or the landowner or landlord would decide to terminate the month-to-month home rental agreement given one month of notice, since the month-to-month home rental agreement usually has no end date.